Traditional Carnival Booth - Duck Pond! Decorative or Shaped Ducks Tend to Tip Over. See This Example of a Cute Duck Pond Sign! 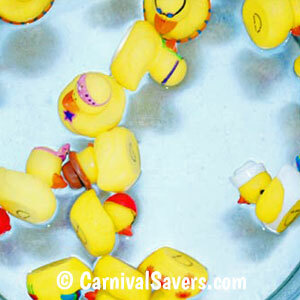 Before the carnival, mark your floating ducks with 3 different numbers "1", "2", or "3" on the bottom. Generally, ducks with "1" are considered the consolation prizes ducks, ducks with a "2" will get a different prize and the ducks with a 3 are the top prize. So you will want to have more ducks with 1's than 3's. Children pick a duck and look for the number on the bottom. Children win the prize that corresponds to the number on the duck. Hint – have the prizes displayed to show what prize is won with each number! Safety Note: This is another favorite booth for preschoolers. Have some items that are considered “safer” for young children such as mini beach balls, sand molds or even small packages of fish crackers that you can have on hand to pass to younger children. 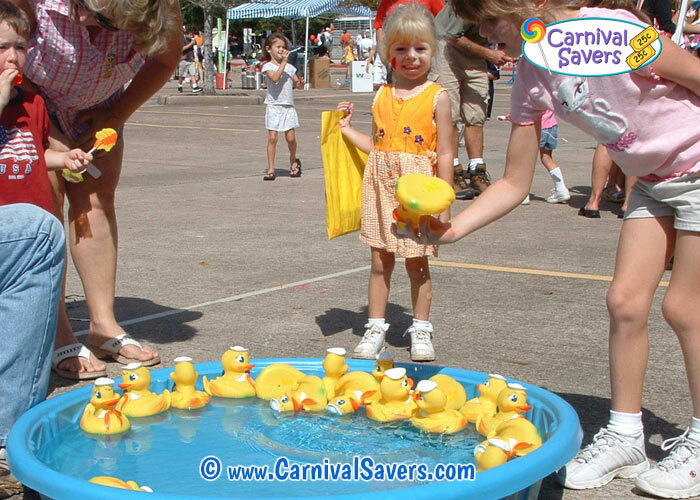 The Duck Pond is a traditional carnival game loved by young children, but be aware by about age 8 or so, some kids will think this is a game that is for babies, and they will walk right by. 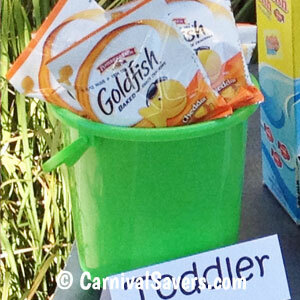 So when planning prizes, you may wish to purchase for the estimated preschool and younger grade-school kids. Warning: Because this game involves water, be sure to have an adult present with this game at all times and please follow the recommendations of The Consumer Product Safety Commission with regards to water and children. Click here to learn more. 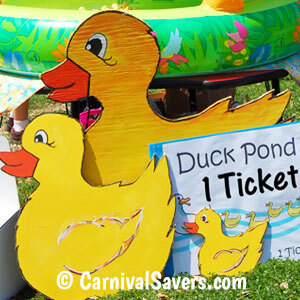 GET YOUR "DUCKS IN ROW" with CARNIVAL SUPPLIES & PRIZES for the DUCK POND BOOTH!